Twenty-five years ago, cigars didn’t exist in the land of morning calm. 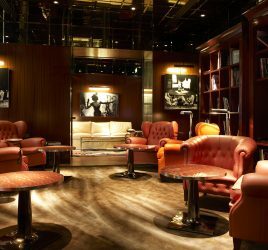 Even now, only a handful of aficionados can be spotted in Seoul’s scarce smoking rooms. It must be said, they have some of the toughest anti-smoking laws in the world. When Pierre Cohen-Aknine landed in bustling Seoul to launch the sale of Cuban cigars over twenty years ago, he had to start out from scratch. You couldn’t find a single premium cigar in the country at the time – Cuban or otherwise. “Not even in five-star hotels.” Mr. Cohen-Aknine is no missionary, although he fondly recalls the “aroma of cigar smoke on Sundays at home in Paris when [he] was a child and when [his] father would play the piano in the lounge smoking his puro”. He had never even smoked a cigar himself, having only tried “a cigarette at school at sixteen to look cool in front of the girls”. Korean legislation is very restrictive as to where people are allowed to smoke. Smoking in public places is strictly prohibited except for a few smoking rooms where only smoking is allowed i.e. eating and drinking is prohibited, “you’re not even allowed to drink coffee,” laments Pierre Cohen-Aknine. Due to its short history in the country and these exceptionally strict rules, “cigar smoking remains very niche here,” confides Piere Cohen-Aknine. What’s more, given the high taxes on tobacco imports, cigars are very expensive in Korea – as they are almost everywhere in Asia – almost twice the price of cigars in France. 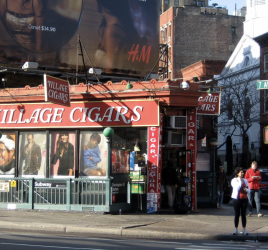 In total, there are only five specialized cigar shops where you can purchase them (and where you are also allowed to smoke) plus a dozen or so tobacco shops that also sell other tobacco products (cigarettes, pipes, electronic cigarettes etc.) Outside of these outlets, Koreans who buy their cigars in packets have abandoned these ‘physical’ stores to purchase on the internet (despite it being totally illegal, as it is in France) or at duty free. 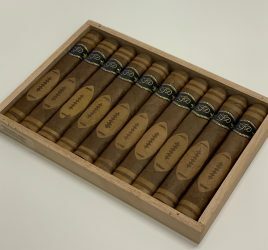 By coincidence, or maybe because the Swiss brand wanted to test the potential of this new rich country, Davidoff entered the South Korean market in 1995, just a few months after Pierre Cohen-Aknine and his Havanas. For a long time, Habanos and Davidoff were the only two brands available in the country. But Davidoff’s distributor, based in Hong Kong, has always considered South Korea to be secondary in comparison with other Asian markets. So much so that following the latest series of anti-smoking laws voted in in January 2015, the company closed its only store and now makes do with small scale distribution through direct sales. Yet during what Pierre Cohen-Aknine refers to as “the golden age of the 2000s when [he sold] around 110,000 premium cigars per year,” other brands like Gurkha, Rocky Patel, Arturo Fuente, Olivia or La Aurora tried to penetrate the South-Korean market but they all failed or remained marginal. South Korea thus remains fertile ground for whoever wishes to sell cigars.